Producers should have received their 2015 1099's in the mail the end of January. FSA always request that producers verify the information on the 1099 for accuracy. Be certain that the amount on the 1099 agrees with deposits. Also be reminded, 1099's are not sent to producers who earned less than $600.00. Contact your FSA office with any questions or concerns. Grain Sorghum - .65 bu. Be reminded, the marketing year for each commodity is different. Ex. Wheat marketing year doesn't end until May 31st and the final rate isn't published for another 30 days after that. FSA won't issue payments until after October 1st. We encourage producers to view the following website for updated prices and other information regarding the ARC-PLC program. 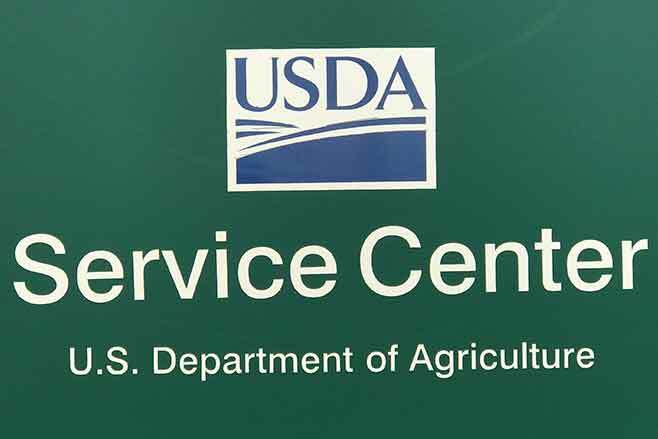 http://www.fsa.usda.gov/programs-and-services/arcplc_program/arcplc-program-data/index. PLC payments are computed as follows. The base acres and PLC yield are farm and commodity specific. Be reminded, producers had to either elect or were defaulted into the PLC program during the election period last year for the farm/commodity to garner a payment. The base acres and PLC yield are farm and commodity specific.